Istanbul is one of those destinations that truly is a feast for the senses. The pungent spices. The dark aroma of Turkish coffee. The skyline populated with the minarets and domes of its many mosques. The vivid colors of its famous carpets. Istanbul is also one of Europe’s most dynamic and fastest-growing cities. And this magical meeting place of East and West has become a popular destination spots for travelers. With so much to offer – history, culture, food, and friendly locals – it is easy to see why. Start your Istanbul visit with a 360-degree perspective from the ancient Galata Tower. From here you’ll have panoramic views of many of Istanbul’s famous landmarks – Seraglio Point, the Golden Horn, Topkapi Palace, Hagia Sophia, and the Sultan Ahmed Mosque, known as the Blue Mosque. Spend an afternoon at the Grand Bazaar, known for its famed Turkish carpets. It is one of the oldest covered markets in the world, dating back to the 1400s, and one of the largest with 5000 shops. 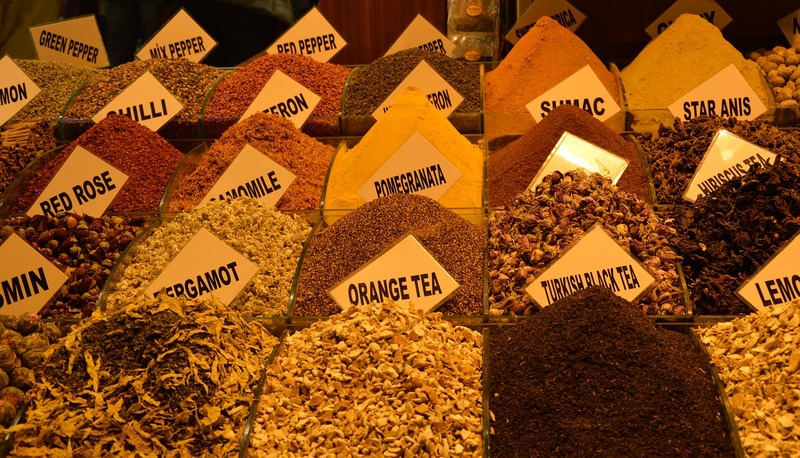 Next to the Grand Bazaar in popularity is the Spice Bazaar, where you’ll find a marvelous array of exotic spices. Spices are the backbone of Turkish cooking and the Spice Bazaar has been the center of spice trade in Istanbul for over 350 years. Spices also make great gifts for your family and friends – you can take them home in vacuum-sealed bags. Karaköy, one of the oldest historic neighborhoods of Istanbul, is now a thriving mix of bohemian boutiques and open-air cafes. One of the premier landmarks is Istanbul Modern. Formerly a Greek Cathedral and then an imperial mosque, it is now Istanbul’s contemporary art museum, showcasing works by Turkish artists. Its balcony café, with a panoramic view of Istanbul’s skyline, is worth a visit. No visit is complete without tasting the savory Turkish food. For breakfast, try menemen, a traditional Turkish breakfast dish with eggs, tomato, onion, and spices. For dinner, select such standards as roasted chard and beef ragout, or go for the famous Turkish kebaps. Wash it all down with raki, a grape spirit infused with anise and considered to be Turkey’s national drink. For a sweet treat, try the lokum, sugar-dusted cubes of thickened milk or fruit syrup often made with dry nuts. In Ottoman times lokum was eaten after a meal to aid in digestion. For a relaxing way to experience Istanbul, take a ferry ride along the Bosphorus Strait. It is one of the best ways to see the palaces of the Ottoman Sultans, since many were built right along the waterfront. The Bosphorus Strait connects the two seas of Istanbul – the Black Sea and Sea of Marmara – and separates Europe from Asia. Catch a sunset over the Bosphorus peninsula and if you time it right, you’ll see the minarets of Istanbul’s mosques glowing red. To stay connected in Turkey while enjoying your Istanbul adventure, we recommend using a global SIM card if you have an unlocked smart phone. A SIM card from Wireless Traveler is only $19.99 plus you’ll receive $15 in free airtime, once you activate and load your initial airtime. Calls to the US from Turkey are only 60 cents per minute or 25 cents per minute to receive calls to the US number on the SIM. 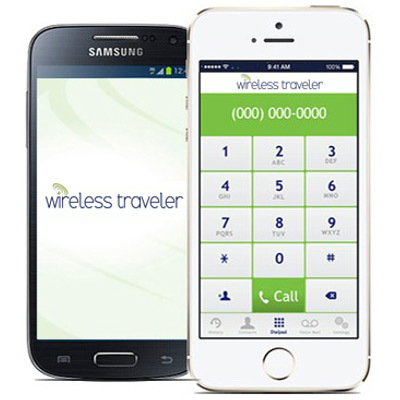 Or, download our low cost WiFi calling app, from iTunes or Google Play and you can call the U.S. for only 2 cents/minute and calls app to app are free. For data connections in Turkey, we recommend a pocket WiFi hotspot with your choice of data bundle at low cost. No surprises when you get home or bill shock! You can rent or buy the pocket WiFi device and it will support up to five devices (smart phones, iPads, laptops, Kindles, etc. ).